← Boxing up my life, and snow. 2°C, big melt all morning, another snow dump followed in the evening. I rode Mustang with MapMyRide+! Distance: 31.34km, time: 01:29:08, pace: 2:51min/km, speed: 21.10km/h. Slow and short, but I desperately needed it after a week of turbo sessions. I hate the turbo but there’s no alternative with the depth of snow and ice we’ve had. 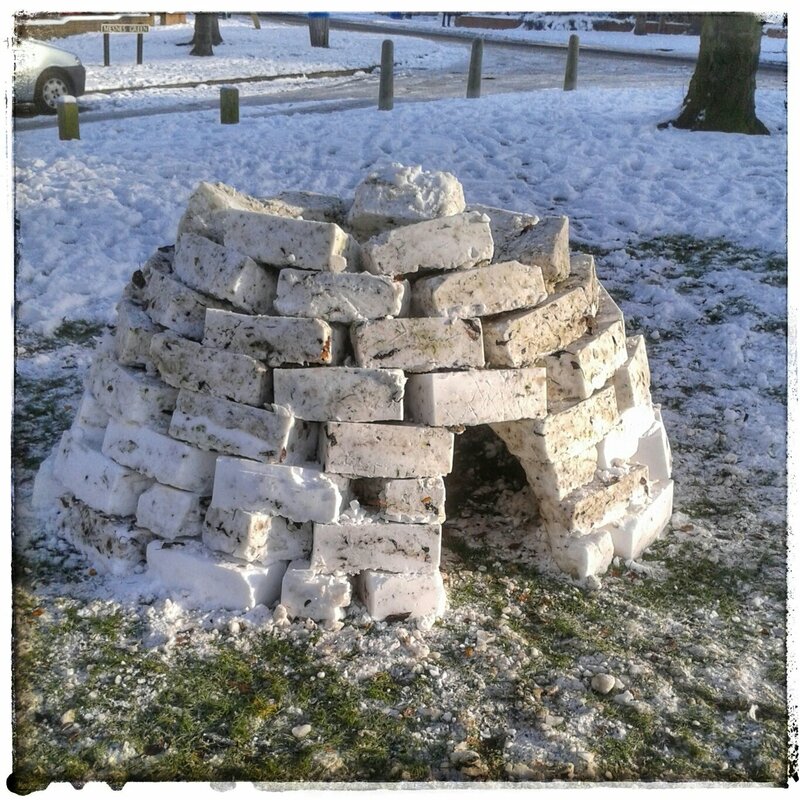 The latest snow craze to hit England is igloos made from recycling boxes. This one that appeared near my house is typical of the genre. The blocks have gaps, but so what? These make a refreshing change from Michelin-man snowmen. Good work in my opinion, I wish I’d made one now. 3 Responses to Fizzy and bad tempered. No idea. I bet it’s a good way to warm up.